The Dialectical Behavior Therapy Center of San Diego (DBTCSD) was founded in 2005 by the foremost authority on DBT in Southern California, Dr. Milton Brown. Dr. Brown was mentored for many years by Dr. Marsha Linehan, founder of DBT, which culminated in them jointly conducting DBT research studies and DBT training. Their collaboration continues to this day. DBTCSD is the only clinic in San Diego with DBT provided by true experts, as attested to by achieving DBT certification and numerous publications on DBT, borderline personality disorder, PTSD, suicidality, self-injury, shame, self-hatred, and other related issues. Dr. Brown provides 10-day intensive trainings for BehavioralTech, which is the current standard training for DBT clinics. Professional accomplishments - Dr. Brown received intensive DBT training as a student of Marsha Linehan for 10 years and is currently an associate professor at the California School of Professional Psychology (CSPP) at Alliant International University, where he trains graduate students in cognitive behavioral therapies, including DBT. He completed his clinical internship at the Veteran Affairs Palo Alto Health Care System, where he was trained at the National Center for Post-Traumatic Stress Disorder. Dr. Brown provides DBT workshops for mental health professionals across the United States. His areas of expertise include personality disorders, suicidality and self-injury, shame and self-hatred, rejection sensitivity, cognitive-behavior therapy, exposure therapy, and dialectical behavior therapy. Personal interests - Milton is an avid cyclist and runner, enjoys sailing, goofy comedies, time travel movies, and genealogy. In 2018, he plans to ride his bike across the United States. Professional accomplishments - Dr. Gutierrez received an intensive year long training in DBT and CBT at Harbor UCLA Medical Center. She attended an APA accredited internship at Hutchings Psychiatric Center in Syracuse New York and completed her post-doctoral fellow ship in the COG/DBT IOP at Sharp Mesa Vista Hospital. She also received intensive training in evidence-based treatments for emotion dysregulation disorders, self-injury, addictive behaviors, contingency management, and post traumatic stress disorder. She has experience treating children, adolescents, adults, seniors, and their families. 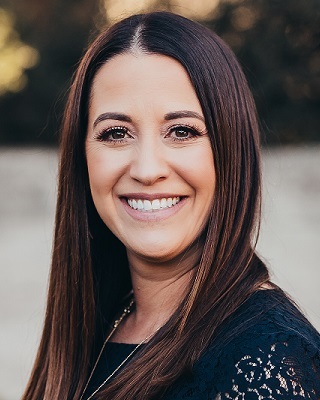 Dr. Gutierrez serves as the San Diego chapter president on the board of directors for the American Foundation for Suicide Prevention, offers professional talks around the San Diego area, and leads in the marketing efforts at the DBTCSD. Personal interests - Amanda enjoys spending time with friends and family, including her two beloved rescue dogs. In her spare time she lives a pretty healthy lifestyle and has run over 50 half marathons but has no desire to run a full marathon. She enjoys camping, hiking, trying new restaurants and traveling to new places mainly because she loves staying in hotels. Professional accomplishments - Dr. Dahlin graduated with Honors (B.A.) from the University of California, Santa Barbara and received her Ph.D. in Clinical Psychology from the California School of Professional Psychology at Alliant International University. She specializes in providing CBT and DBT for adolescents and young adults with severe emotion dysregulation problems, including self-harm, chronic suicidality, eating disorders, substance abuse, personality disorders, and severe anxiety disorders. 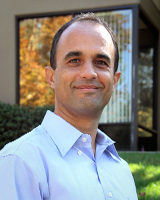 In addition to completing pre-doctoral and post doctoral training at DBTCSD, Dr. Dahlin also previously trained at Vista Balboa Crisis House, Rady Children's Hospital, and completed an APA-accredited internship working with foster youth at Casa Pacifica Centers for Children and Families in Camarillo, CA. 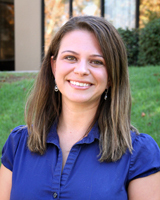 Her research interests include trauma, dissociation, and interventions for severe emotion dysregulation. Dr. Dahlin has presented findings at national and international conferences and co-authored several book chapters on trauma treatment. Her dissertation, on dissociation in female trauma survivors, was awarded the Fern Miller Memorial Research Scholarship and the F. Joseph McGuigan Research Award. Personal interests - Kristen loves spending time hiking and snowboarding in the Sierras, hip-hop dancing, binge-watching documentaries on Netflix, cooking vegetarian food, nourishing her podcast addiction, and spending time with friends and family, including her adopted husky, Balto. 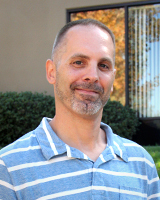 Professional accomplishments - Dr. Langlois received his Ph.D. in clinical psychology from the California School of Professional Psychology (CSPP) at Alliant International University. Prior to entering clinical psychology, Dr. Langlois was employed in neuro-biological research that investigated factors that impact learning and behavior. Since entering the field of clinical psychology, he has had extensive experience working with children, adolescents, and adults who experienced various forms of trauma and emotional dysregulation. His clinical experiences in foster care, residential, and forensic settings included working with adolescents and adults with BPD, depression, anxiety disorders, substance use disorders, and various forms of maladaptive coping, including suicidal, self-injurious, antisocial, and criminal behaviors. His studies and dissertation research at CSPP resulted in being selected for an APA Internship at Kaiser Permanente, and being the recipient of the F. Joseph McGuigan Research Award. Dr. Langlois also has clinical experience in the state of Connecticut as a licensed professional counselor (LPC) for Emergency Mobile Psychiatric Services, having worked exclusively with emotionally dysregulated adolescents, suicidal and self-harm behaviors, as well as other school and family-based conflicts and crises. Personal interests - Jason enjoys playing with his two boys, surfing, snowboarding and hiking. He is a die-hard Red Sox fan, is known for puns, metaphors, and philosophical parables, and is sometimes distracted by the sound of one hand clapping. Consultant on wayForward, an app-based program to reduce anxiety and stress. Professional accomplishments - Dr. Weingarten spent 5+ years working at a private group practice in Manhattan where he specialized in providing CBT and DBT, held workshops, and supervised trainees. He also serving as an Adjunct Clinical Supervisor for doctoral students at the Teachers College of Columbia University and the Ferkauf Graduate School of Psychology. 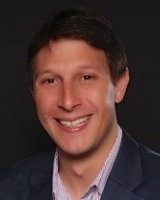 Dr. Weingarten completed his clinical internship at the Manhattan VA Hospital where he received extensive training in individual and group therapy, focusing on treating veterans of all ages struggling with Posttraumatic Stress Disorder, Social Anxiety Disorder, Generalized Anxiety Disorder, and Substance Use Disorders. Prior to internship, he trained at an adolescent inpatient unit, a college counseling center, and a Bronx, NY based community clinic. Dr. Weingarten's Doctoral dissertation explored the process of psychological resilience and the factors that contribute to overall well-being following traumatic events, with a focus on Holocaust survivors. Personal interests - "Dr. Jay" is a fan of basketball, but also enjoys watching and playing many other sports, with the NY Giants, Rangers, Knicks, and Mets holding a special place in his heart. He spent his first 25 summers at a summer camp in the Berkshires and still enjoys hiking, fishing, campfires, and a good prank! He also enjoys listening to music (which is always preferred to hearing him sing) - and reading Tom Robbins' novels. Jason recently relocated from NYC to San Diego with his wife, Amanda, who is a neuropsychologist at UCSD. 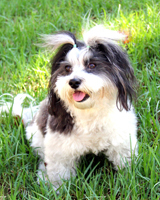 Yuie is our therapy dog, and is available to attend your individual sessions upon request. She can be a source of comfort during stressful or triggering situations in your treatment. Let us know at least 48 hours in advance if you would like her to join you in your sessions.